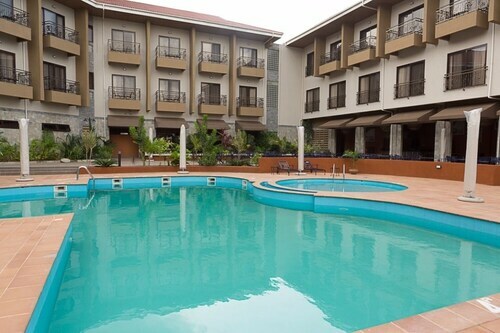 Situated in Mankessim, this hotel is 0.3 mi (0.5 km) from Mankessim Central Market and 1.6 mi (2.6 km) from Nayar Mosque. Fort Amsterdam is 7.3 mi (11.7 km) away. 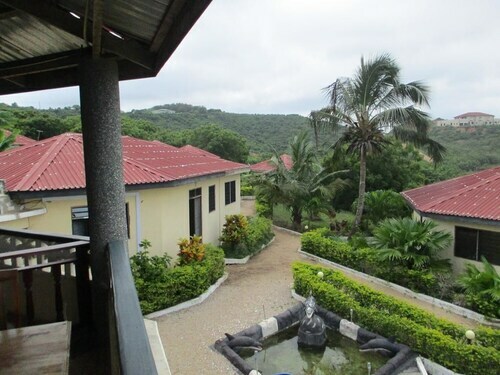 This Anomabo resort is on the beach, 2.9 mi (4.6 km) from Fort Amsterdam, and within 12 mi (20 km) of Nayar Mosque and Mankessim Central Market. 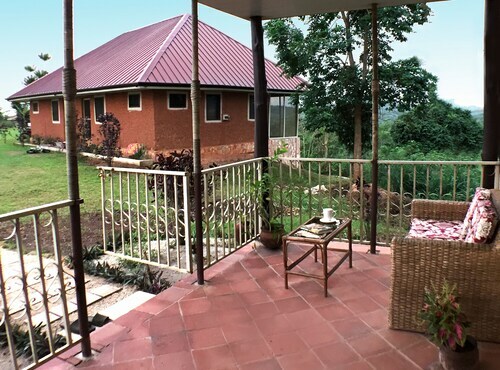 Situated in Anomabo, this hotel is 2.8 mi (4.6 km) from Fort Amsterdam and within 12 mi (20 km) of Nayar Mosque and Mankessim Central Market. Cape Coast Castle is 11.5 mi (18.5 km) away. Situated near the beach, this hotel is 3.9 mi (6.3 km) from Fort Amsterdam and within 12 mi (20 km) of Cape Coast Castle and Nayar Mosque. Mankessim Central Market is 11.5 mi (18.5 km) away. 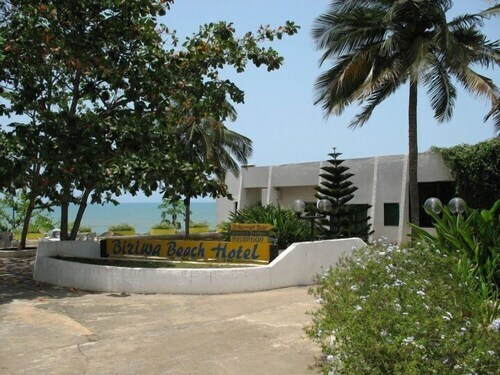 This Biriwa resort is on the beach, 5 mi (8 km) from Fort Amsterdam, and within 12 mi (20 km) of Cape Coast Castle and University of Cape Coast. Nayar Mosque and Mankessim Central Market are also within 16 mi (25 km). 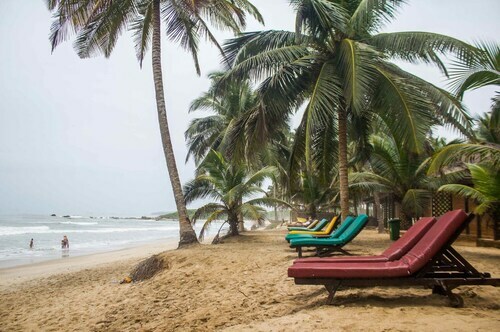 Situated near the beach, this hotel is 5 mi (8.1 km) from Cape Coast Castle and within 12 mi (20 km) of University of Cape Coast and Fort Amsterdam. Java Museum is 12.2 mi (19.6 km) away. 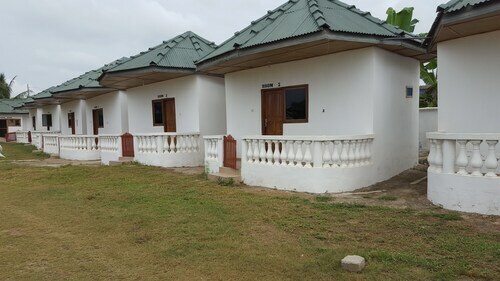 Situated by the ocean, this lodge is within 12 mi (20 km) of Cape Coast Castle, University of Cape Coast, and Fort Amsterdam. 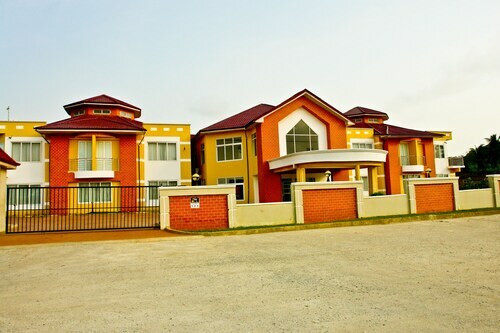 Java Museum and Elmina Castle are also within 20 mi (32 km). 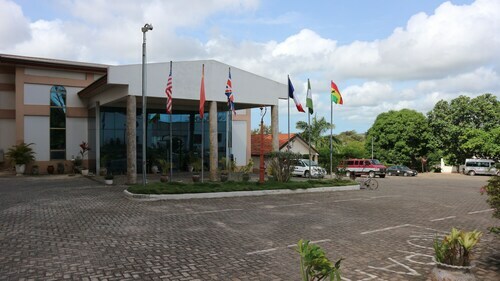 Situated in Cape Coast, this hotel is 1.7 mi (2.7 km) from Cape Coast Castle and within 9 mi (15 km) of University of Cape Coast and Java Museum. Elmina Castle and Fort St. Jago are also within 9 mi (15 km).